We looked in another article recently about acquiring boxes, and advice abounds here and elsewhere about the best way of storing boxes. How about packing them? This is in itself a bit of an art form if you want to make the most of available space whilst keeping items safe. However, you are not going to store well unless you have appropriate and strong boxes to begin with. Assuming you do, let’s get started! The first thing to do before you get deep into packing is to plan what ought to go in what box. The main considerations for this are keeping fragile items secure, and making any items that need retrieving relatively accessible. 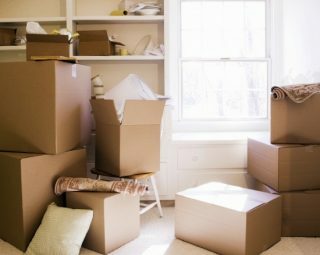 In doing so, don’t get optimistic about how much a box can hold – they will be limited by the weight that they can withstand, and space occupied by packing materials will need to be taken into account. So you need to consider getting the balance right with ensuring not all heavy items go in one box that is likely to buckle etc. It’s best to overestimate the number of boxes you need rather than turning this into a haphazard cramming exercise later on. Moving items around causes breakages unfortunately, we’ve all seen it happen. So you must do what you can to minimise the risk of this happening again! Items that might not withstand being packed together or the weight of other items on them need to be wrapped up thoroughly in packing materials, preferably bubble wrap – do a proper job and apply lots of it. You can pad out the box even more with whatever materials you see fit, newspaper or fabrics are fine for this. 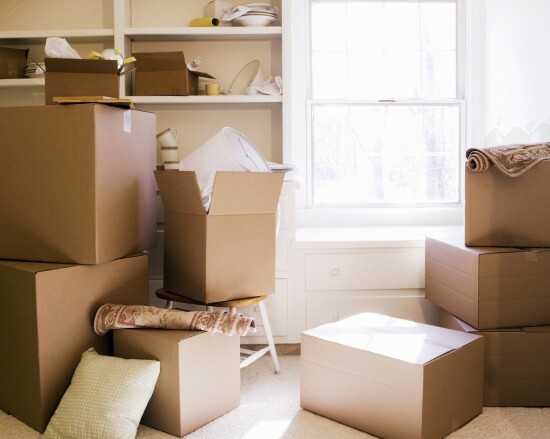 And remember not to put too many things in a given box – packing several fragile items close together that are going to break or distort is going to lead to disappointment later, not least it might make the box too heavy. Space them out with bubble wrap and that will improve their prospects tremendously. On the subject of not overfilling your box, it is good practice to not fill to the top. If you need to stack boxes, you could be potentially putting the weight of the box above directly onto your items, which would spoil our good packing work so far. Ensure there is at least an inch’s clearance at the top of the box and fill it with packing materials that can spread the force of anything placed on top of them. Once you are all packed up, close the box and then seal any potential openings with parcel tape. Especially with self assembly cardboard boxes, you need to ensure that the weight of the items in the box don’t cause the bottom to collapse, so in particular ensure that this part is well taped together. This should ensure that you have a fairly robust packing solution to keep items safe, and over time you might acquire your own tips and techniques for any special items you store which you are welcome to share here. « What Is The Best Lock I Can Get For My Storage Unit?